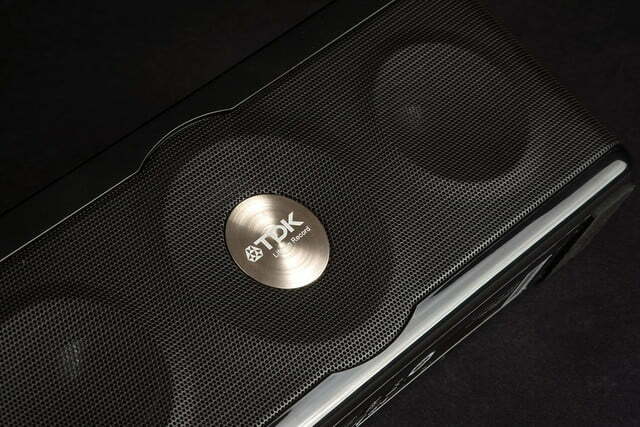 Weatherproof, and loud as a jet turbine, TDK’s A34 makes a strong case to be your next Bluetooth buddy. 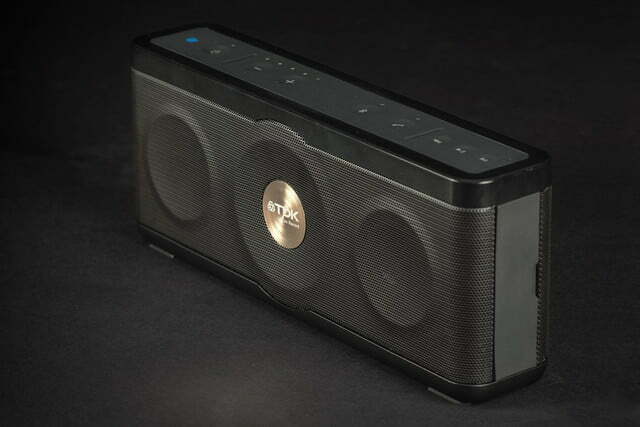 We’ve said it before: The world does not need another Bluetooth speaker. 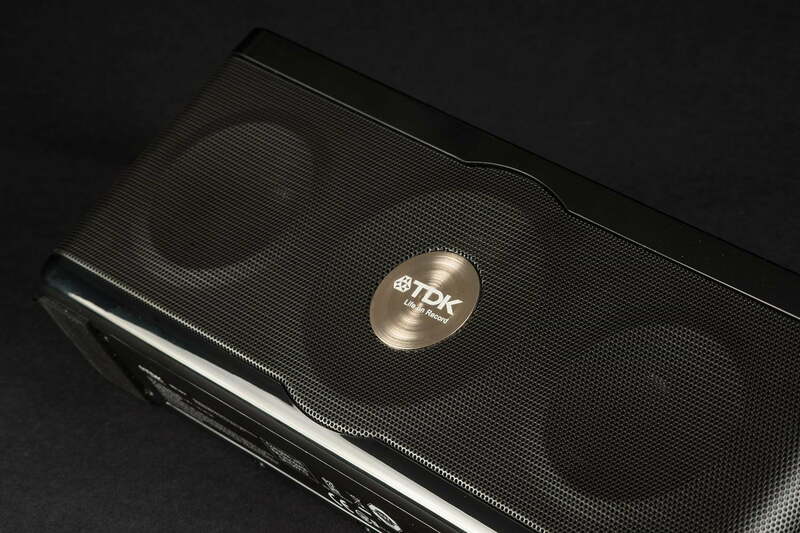 But seeing as they’re going to come anyway, we’d prefer they come in flavors like the TDK Life on Record (TDK) Trek Max A34 Wireless Weatherproof speaker — although, preferably without such a ridiculously long title. The A34, as we’ll call it, is the follow up to TDK’s popular A33 speaker, and apart from a few slight revamps in design, it’s a lot like its predecessor — why mess with a good thing? Like the A33, the A34 boasts a rugged exterior to stand fast against the elements, a power pack of drivers at its front and back to push out balanced sound, easy portability, and enough power and poise to provide the soundtrack for your next soiree without leaving anyone out of the loop. 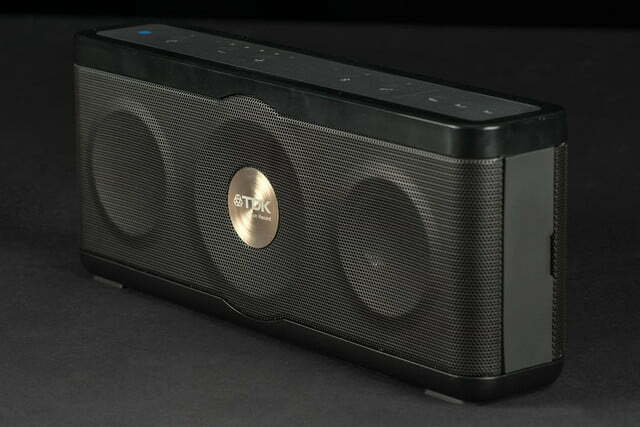 Add in a price as low as $130 online, and it’s tough to come up with reasons why one shouldn’t consider this speaker. The first thing you’ll notice when you pick up the A34 is its surprising mass. 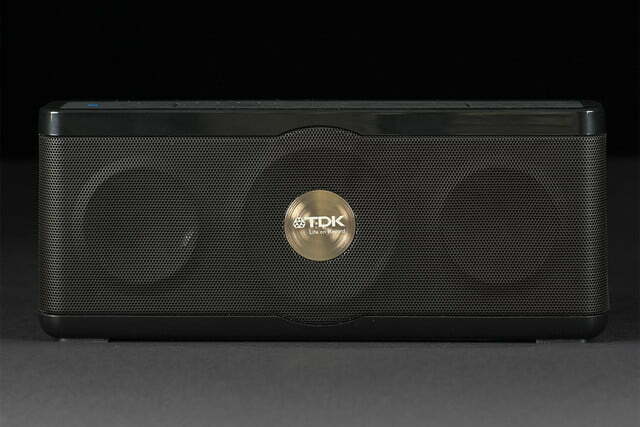 It’s a brick of sound, no doubt, and at nearly 3 lbs., it’s one of the heftiest in its class. While it might weigh you down on the road, a bit of ballast is usually a good sign when it comes to quality audio gear. It’s a brick of sound, no doubt, and one of the heftiest in its class. 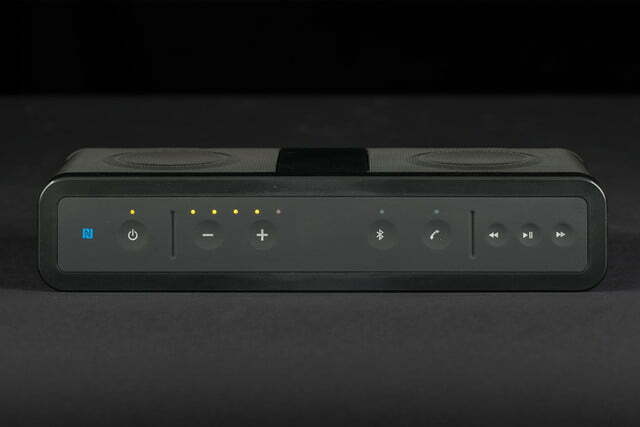 The speaker isn’t just heavy, it’s also dense, and feels well-built in your hands. The gloss plastic borders give way to rubberized material at the top and the sides, designed to slough off the rain, but also making it easy to grip the speaker. The metal screens that guard the drivers at the front and back are hard as a rock, and feel ready to take on a good smack to the midsection. Our only real complaint upon initial investigation: TDK’s logo on the silver medallion in front was set slightly off-kilter — how dare you, TDK? In the box we found no case or other paraphernalia, only a packet of instructions and a power cable with a monster-sized transformer. Apart from the triple ripple along the front screen and the aforementioned silver medallion, the A34’s design is pretty predictable: a slim black rectangle, with controls along the top and various ports on the side. The speaker sits just shy of 4-inches high, 2-inches deep, and 9.5-inches wide. The A34’s controls are smartly aligned across the top in easy-push dimpled buttons. Moving left to right users will find keys for power, volume, Bluetooth pairing, fielding phone calls, song skip, and play/pause. The panel also hosts a few LED indicators including an array of yellow lights to indicate volume level and other common indicators such as battery charge/power, Bluetooth pairing, etc. 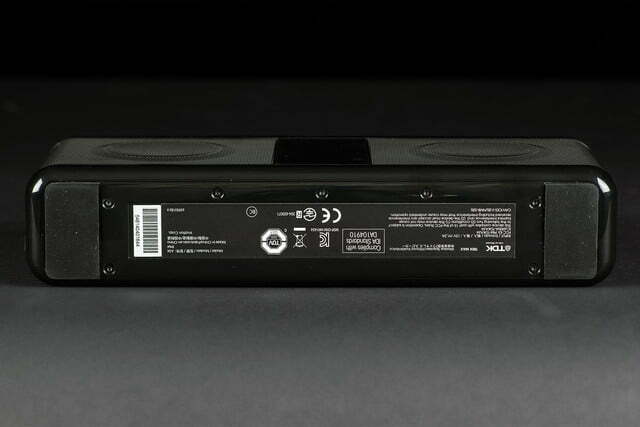 An input panel on the right side is protected by a rubberized plate which houses a 3.5mm Aux input, a USB port for charging your smartphone, the power port, and a master switch which must be turned to on to use the speaker sans power cable. The A34’s Achilles heel, if we’re forced to choose one, is its 8-hour battery life, which is neither stellar nor meager, but gets cut down significantly when volume is cranked to its explosive max volume. Inside, the speaker hosts dual drivers up front, which look to be about 1-inch in diameter. We’ve reached out to TDK for verification, as its website is sparse on some specs. At the back, the speaker hosts much larger passive radiators to accentuate bass. The speaker pairs easily to mobile devices via Bluetooth and supports touch pairing via NFC for compatible devices. Other features include an on-board microphone for hands-free calling and, of course, a weatherproof exterior which boasts IP64 certification to protect against splashing water and dust. You can’t dunk this thing, but it should be fine to rock tunes outside when the weather turns. 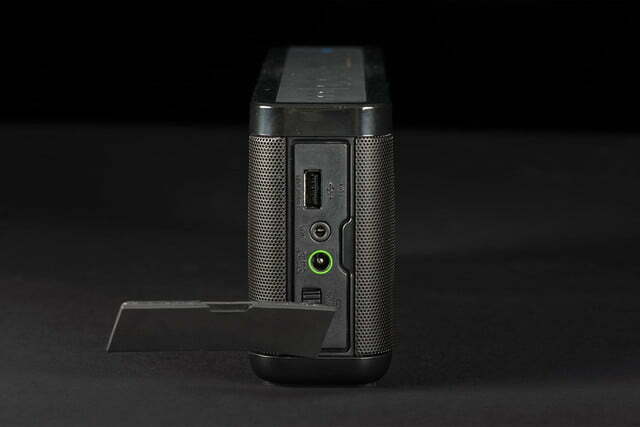 When it comes to sound performance, the A34 is solid and steady, with some nice surprises. Those include a bit of rich and ruddy coloration in the lower midrange that hits a sweet spot, as well as some punch in the midrange that allows for good clarity in instruments like strings and vocals. Perhaps what the A34 does best is to stay out of its own way. 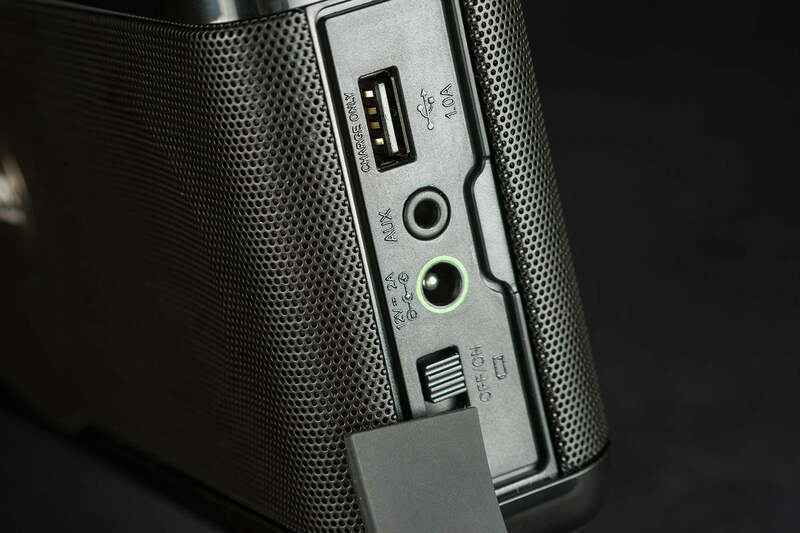 It doesn’t expose nuanced details like, say, Braven’s BRV-X, but it maintains a pleasant balance across the spectrum, adding accuracy without sibilance, and power without distortion. Speaking of power, the A34 gets loud. We never managed to reach its maximum volume (it started to hurt) but at 75 percent, this thing punched out an assault of sound that was more than enough for indoors, and just what you need to rise above an outdoor fray of ambient sounds. While it doesn’t exhibit massive bass (as you might imagine), when set against a boundary like a wall or window, it holds its own, offering a solid musical foundation. 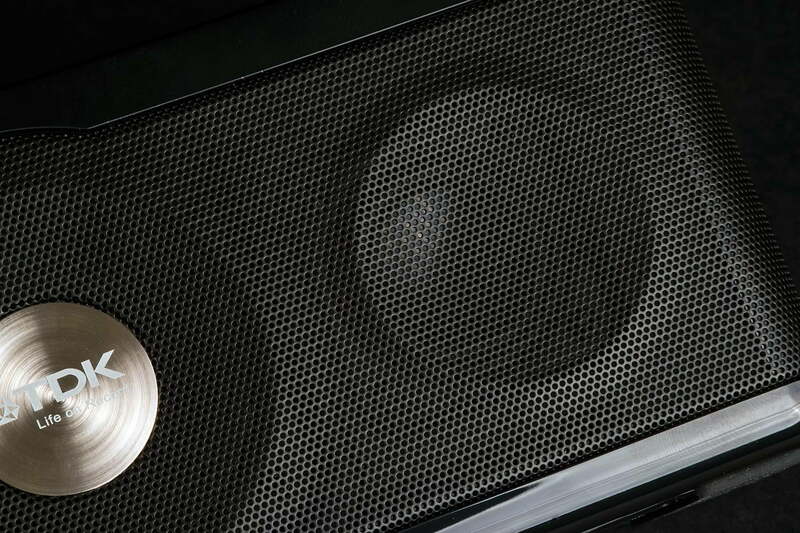 The speaker has a bit of bite in the upper midrange which is accentuated at higher volumes. It tends to … yell a little when it approaches top volume. This was especially evident while the speaker belted out the punkish guitar tones of Pearl Jam’s eponymous album, or the snappy vocals in Prince’s classic, “Cream.” Still, it wasn’t something that threw us off, and again, we’d only push it to such limits when far away from the speaker or outdoors where it’s needed to cut through the clutter. The speaker sounds good enough that it had us wishing for just a bit more detail when we played our most complex test tracks, such as Radiohead’s “Myxomatosis,” where subtle bits never quite reached the surface. On the other hand, we actually understood the vocals most of the time, a real coup when you’re talking about Thom Yorke. And while there wasn’t quite as much texture in the guitar as we craved in our favorite acoustic tracks, lower instrumentation rang through with a touch of gold that was quite enjoyable. Weatherproof, robust, and loud as a jet turbine, TDK’s new TREK Max A34 makes a strong case to be your next Bluetooth buddy. 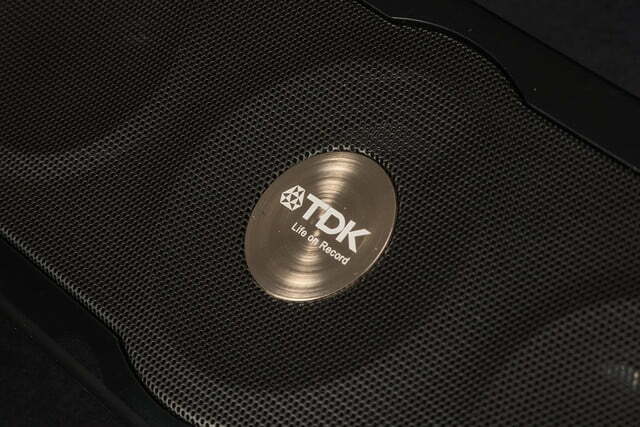 We wish the speaker had more juice (and wasn’t so damned heavy), but solid performance and functionality make TDK’s A34 a great choice to take with you into the wild.